After five successive Premier League defeats, it seems another loss away to Liverpool on Sunday could spell the end of the road for Slaviša Jokanović. Having started the season with some promise, Fulham's issues at the back have been compounded by a lack of attacking intensity. Ahead of Sunday's clash against Premier League title contenders Liverpool, here's a look at the strongest lineup Jokanović could pick in an attempt to save his job. Sergio Rico (GK) - Fulham's recent run of form has seen them concede goals left, right and centre. Consequently, Rico could have a very busy afternoon between the sticks at Anfield. Cyrus Christie (RB) - Christie looks set to replace Timothy Fosu-Mensah, who endured a torrid first-half against Huddersfield Town. Christie must look to keep Sadio Mané on his left foot, whilst being tenacious in the tackle. Denis Odoi (CB) - The Cottagers' hopes of picking up any sort of positive result rest largely on the shoulders of centre-back Denis Odoi. In the hope of inspiring his team-mates, he must lead his troops from the back with determination and grit, something Fulham have lacked in recent weeks. Maxime Le Marchand (CB) - One of a number of summer recruits who have failed to live up to expectations, Le Marchand must improve if Fulham are to start picking up points. Ryan Sessegnon (LB) - The man tasked with attempting to stop the dangerous Mohamed Salah is England U21 left-back Ryan Sessegnon, who has already made over 80 appearances for Fulham despite being only 18. André-Frank Zambo Anguissa (CM) - Club-record signing Anguissa has certainly not lived up to the hype he generated following a deadline day move from Marseille. However, he must be given time to adjust to the physicality and pace of the Premier League at just 22. Jean Michael Seri (CM) - The Ivorian international - once linked with Barcelona - has completed 700 passes in the league so far this season and his passing will need to be of a high standard on Sunday, against a dynamic Liverpool side. Tom Cairney (CM) - The man who scored the goal that brought Fulham back to the top flight in the Championship play-off final is a relative veteran, having made over 120 appearances for the West London side. 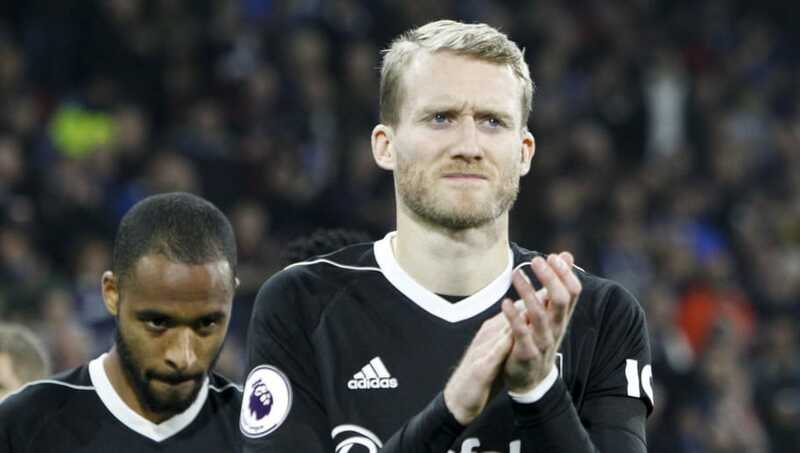 André Schürrle (LW) - A player with a large amount of experience in European and English football, former Chelsea man Schürrle has failed to provide much of an attacking spark so far this season. Aleksandar Mitrović (ST) - Following a permanent move to Fulham over the summer, Mitrovic has been the sole cause for optimism at Craven Cottage so far this season. The Serbian international is tied-third for the most goals in the Premier League so far this season, with five. Atlético Madrid, Vietto has simply not contributed enough in terms of creating goalscoring chances.